Like us and like Starbucks? We are excited to tell you about our CHANG BUCKS program. 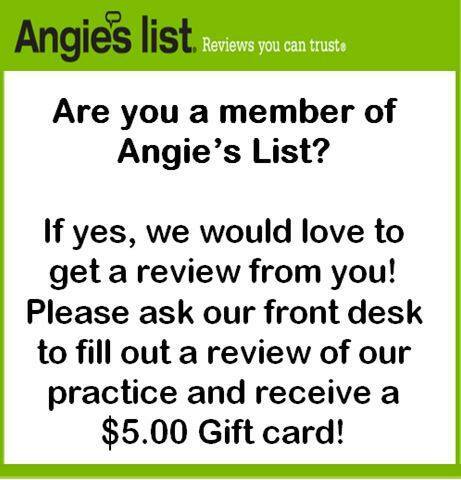 You have a chance to earn great prizes by being a great patient! Successful orthodontic treatment requires a lot of team effort. To reward you for doing your part, you can win CHANG BUCKS to redeem for a variety of great prizes. CHANG BUCKS can be earned by wearing your appliances, such as headgear, rubber bands, etc…. You can also earn CHANG BUCKS for good brushing, keeping appointments, and being on time. You can redeem your CHANG BUCKS for any of the products on sale in the office (toothbrushes, Water Piks, mouthguards, etc.). Other prizes include toys, movie tickets, and food/drink coupons. Proof of community service or charity work: anything you do to better the community around you. Please write a paragraph or more on what you did on paper and bring to your next appointment. Refer your friends to our office. Be sure they tell us you referred them. Three CHANG BUCKS to be awarded after their New Patient exam. Academic excellence; show us your report card with only As and Bs. CHANG BUCKS are only awarded at regularly scheduled appointments. Walk-in or emergency visits do not apply. The store is located in our on-deck waiting area. The prizes may change from time to time and not all prizes will always be available. Your CHANG BUCKS are your responsibility. CHANG BUCKS are just like real money. If you lose them, like money, they are gone. Once you spend your CHANG BUCKS on a prize, they are spent. You must earn more CHANG BUCKS to purchase more prizes. You can help your community by earning CHANG BUCKS. For every CHANG BUCK that you put in our donation box, Fallsgrove Orthodontics will donate $1.00 to a local needy organization. You can trade CHANG BUCKS dollar for dollar for anything in the showcase in office (example: $10.00 product = 10 CHANG BUCKS). Dr. Chang was a presenter for the “Future Doctors of America Society” at Thomas S. Wootton High School as well as being a guest speaker at Wayside Elementary School. Dr. Richard Chang is available to be a guest speaker for topics ranging from dental health to pediatric dentistry and orthodontics. Please contact our staff if you have any questions or are interested in having Dr. Chang be your next guest speaker. Dr. Chang, as current president of the Chinese American Medical Society (CAMS), accepted the “Excellence in Community Outreach” award from the American Liver Foundation on behalf of CAMS at a ceremony on September 18th in Baltimore, MD.